Okay so pretty much everyone I know who played Batman: Arkham Asylum has been looking forward to Arkham City. 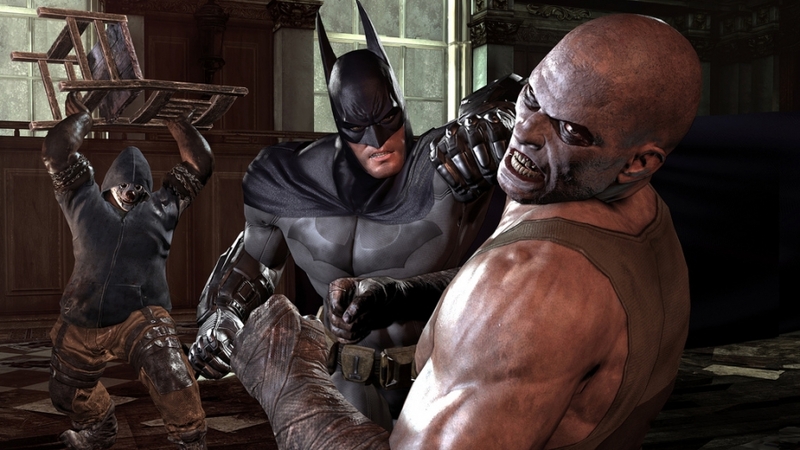 All the information we were fed about Arkham City was meant to tease and tempt us. So much lovely artwork and little pieces of gameplay videos. 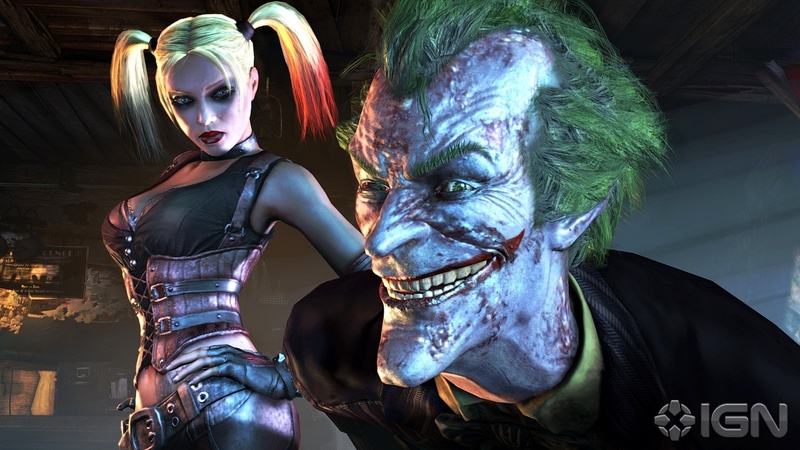 I knew that if it was just as good as Arkham Asylum, then Arkham City was going to be amazing. They promised us the world. Slowly they revealed that not only would we have Batman as a playable character, but we’d also get Catwoman, Nightwing and Robin. The Catwoman DLC is already out so if you didn’t get it with your pre-order, now’s the time. It’s worth getting, playing at Catwoman is completely different to Batman. I don’t want to give away the story, but suffice to say, you’ve got an old face and a new face in your primary villains for this out of Batman. You’ll get to see many old familiar faces from the comics and cartoons. Most are short appearances and side missions, but it’s kinda nice to see all the cameos. It’s fitting and it works. Of course through it all you’ve got the Riddler with his trophies and antics all over the place. As you’d probably guess The Joker is a primary adversary, but then that’s to be expected. I’ll leave the other as a surprise for you to find out. 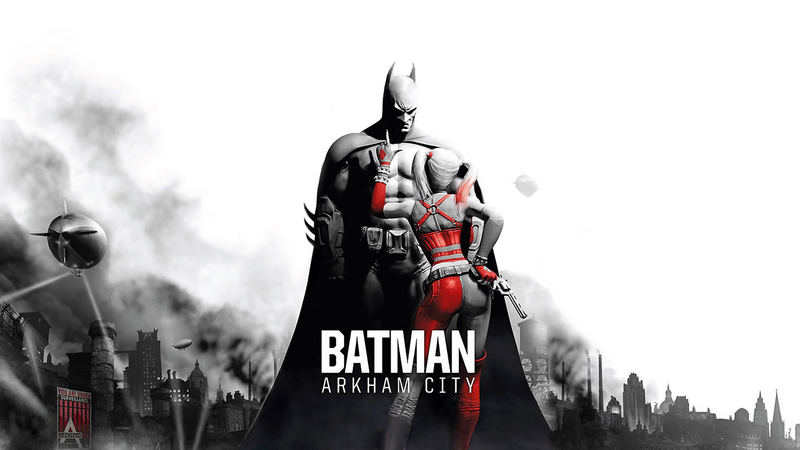 The primary storyline revolves around sorting out Arkham City, and it is the size of a small city in game terms, which is the successor of the Arkham Asylum. As you’d expect everything is in disarray and the career criminals are reeking havoc and scheming. All the evil doing makes for some good story and much unexpectedness. I won’t give you any more than that so I don’t spoil it. Suffice to say I was reasonably happy with the story and it was fitting. Basically you have to fix the fucked up place, but Batman is a hero after all. Speaking of story, there are a few side quests with their own little stories. Some are okay and are natural branches, but others don’t make much sense. Unfortunately several of them are just busy work to simulate the game being longer. The Riddler side mission is the worst perpetrator of this and actually annoyed me after a while. Previously I’d enjoyed the challenge of the Riddler trophies and riddles, but this time they’ve been tied into the Riddler side mission and there are 400 of them. And maybe this is a minor spoiler, but I’d feel wrong not telling you. You will need to find all 400 Riddler trophies in order to complete the Riddler side mission. This didn’t make me happy and I haven’t finished it out of frustration and irritation. The side missions are for me the only major downside though. My only other problem isn’t so much a problem as a personal disappointment. I finished Arkham Asylum in about 16 hours including the Riddler trophies. This was the low point for me, I really wanted to keep playing for longer. I was really hoping for Arkham City to be longer, and it was; a little. To me this is a disappointment because I was really enjoying the game and really wanted to keep going and not just faff about with the Riddler trophies. On an up side to these side missions, many of them really do focus in on the whole “World’s Greatest Detective” bit of Batman; and I enjoyed that a lot. As to why I wanted to just keep on playing; it’s the gameplay. The flow and ease of the fighting from the first one is again present with some little modifications for the weapons and fighting different types of bad guys. There are some special moves that need timing but generally you just don’t have to think as you fight all those bad guys. To me sometimes simple controls only improve the gameplay. The area that you get to run around is so much bigger than previously, there is a lot more roof activity and climbing. I would say that Rocksteady Stuios’ devs have definitely had a good look at the Assassin’s Creed games. As you run across the roofs you’ll see how smooth you can go from gliding to running to grappling. If you’ve played the Assassin’s Creed games you’ll notice the similarities and the missed problems that the first AC games ran up against. This for me made moving around Arkham City a smooth and enjoyable experience. Rocksteady was definitely paying attention. Outside of the primary story you’ve got the challenge maps which are essentially maps from the main story with objectives on how and what to do and a couple options like being timed and ranked. They’re okay, but I actually got bored with them pretty quickly as they’re pretty pointless. Otherwise you also can unlock character bios and 3D renderings as you progress through the game. The 3D renders are actually kinda nice and you can have a good up close look at the different characters. Overall, I say get it now. It’s an astonishing game despite the foibles as they are few and minor. I really do love the game and wanted to keep on playing forever. So in just a few days Rage comes sailing into my hands. I hadn’t planned on getting this until I played it at the the EuroGamer Expo and it was kinda awesome. So after a couple of weeks playing Rage the much anticipated Arkham City comes out. I have predictable purchased the Collector’s Edition. I absolutely adored Arkham Asylum even if it was a bit short. This one promises to be in all ways so I’m very excited. We’ll talk about the toll November is going to take on my bank account when the time comes….